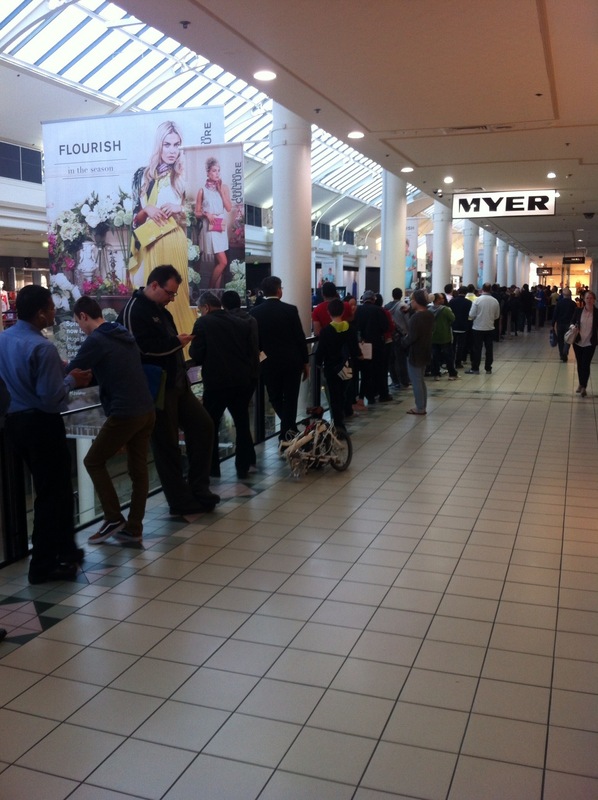 Here’s a couple of images from at The Canberra Centre for this morning’s release of the iPhone 5. 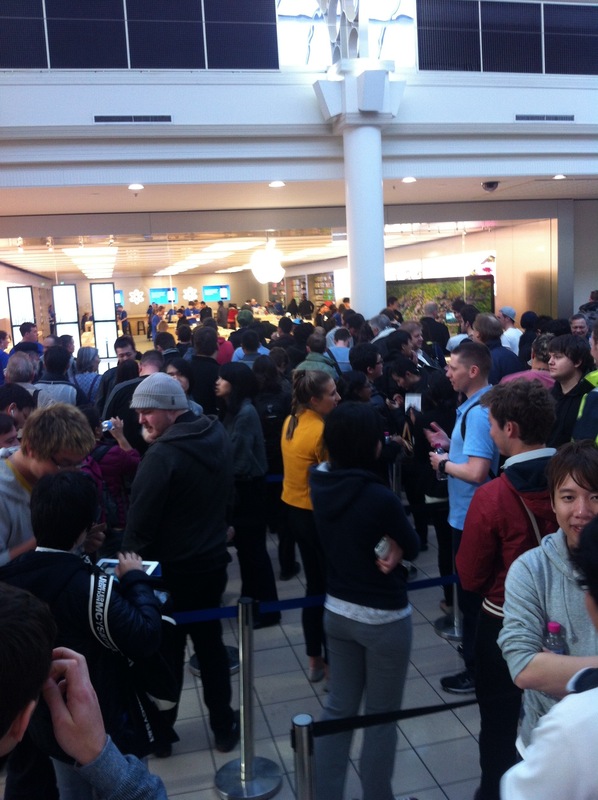 To be honest, we could have used the same photos we took at the opening of The Apple Store a couple of weeks ago. For those interested, the store will be open from 8.00am on Saturday 22nd and 9.00am Sunday 23rd September. Here’s hoping you pre-ordered. So, what do you make of all this? Fanbois and haters can duke it out in the comments.